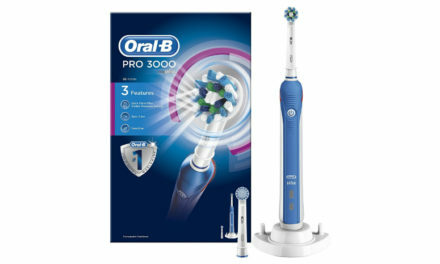 The Oral-B Pro 2 2000 review was last updated March 2019 to reflect the changes in the Oral-B range. Please note that you can only buy this electric toothbrush in the UK. I hope you enjoy the read. The Oral-B Pro 2 2000 is the updated version of the Oral-B Pro 2000. Although it shares almost all the same components as the Oral-B Pro 2000, it has a new improved lithium-ion battery which doubles the battery life to a whopping 2 weeks. It also shares many of the same features as the Oral-B Pro 2 2500, however, it does not come with a travel case. 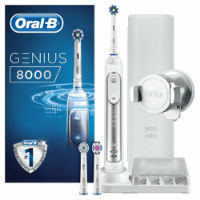 The Oral-B Pro 2 2000 is a good budget electric toothbrush that bridges the gap between the top of the range electric toothbrushes such as the Oral-B Genius 9000 and the truly budget range electric toothbrushes such as the Oral-B Vitality plus. The Oral-B Pro 2 2000 on paper has all the essential features to make a great electric toothbrush; a 2 minute timer with inbuilt quadpacer, visible pressure sensor and a 3D oscillating rotating motion. However does the Oral-B Pro 2 2000 live up to its paper credentials? As a dentist who has written about electric toothbrushes for 4 years, I feel able to give you an in-depth review on whether you should purchase the Oral-B Pro 2 2000. Feel free to leave me a comment below this article. I read them all and reply to them personally. The Oral-B Pro 2 2000 contains many of the essential features that I look for in an electric toothbrush; a 2 minute timer with inbuilt quadpacer and visible pressure sensor. Unfortunately, the Oral-B Pro 2 2500 has more features and is usually cheaper. 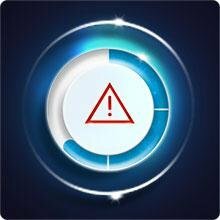 Cannot connect to the Oral-B smartphone app via Bluetooth. Not as good value for money as the Oral-B Pro 2 2500. As to be expected from a budget range electric toothbrush it does not come with all the bells and whistles. The Oral-B Pro 2 2000 does not come with Bluetooth connectivity to the Oral-B App and position detection. It however does come with all the essential features. The quadpacer 2 minute timer featured on the Oral-B Pro 2 2000 2 is an on handle timer that “buzzes” every 30 seconds to let you know when to change areas of the mouth. It is a simple and ingenious way of letting you instinctively know when your 2 minutes of dentist recommended brushing is up. A visible timer would be useful aswell to know exactly how long you have been brushing for. 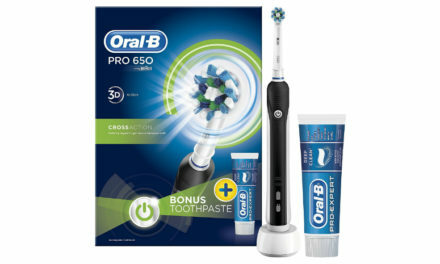 You can get this by using the sound recognition from the Oral-B App which is available from Itunes and Google play although is not as reliable as Bluetooth connectivity. The Oral-B Pro 2 2000 comes with a visible pressure sensor on the back of the electric toothbrush handle. Pressure sensors are crucial on an electric toothbrush because pressing too hard with a toothbrush can lead to toothbrush abrasion. This is a type of toothwear that is caused by people pressing too firmly with the toothbrush. This can lead to the tootbrush bristles removing the enamel of the tooth which can ultimately lead to gum recession and sensitivity. Fortunately the Oral-B Pro 2 2000 flashes red every time you press too firmly so you can stay on top of it. It has a functional, practical style in a pale blue colour. The handle is slimline and rubberised making it easy to grip the electric toothbrush handle even when wet. The single on/off button on the front of the electric toothbrush is easy to press. On the front of the Oral-B Pro 2 2000 is also a battery indicator light which is easy to read however it would be nice if it warned you of low battery earlier. The Oral-B Pro 2 2000 is waterproof which is essential on an electric toothbrush because it will be around water a lot. You can use the Oral-B Pro 2 2000 in the shower although it is best to brush in front of a mirror and concentrate on brushing. This electric toothbrush uses the 3D Oscillating rotating mechanism of action. To remove plaque from the tooth, the Oral-B Pro 2 2000 oscillates, rotates and pulsates. This mechanism of action cleans better than the sonic motion featured on most Philips toothbrushes and cleans significantly better than manual toothbrushes. This particular model features two cleaning modes. The staple cleaning mode in all Oral-B Electric toothbrushes (except the Oral-B Vitality). This mode oscillates 8,800 times and pulsates 40,000 times per minute. The daily clean mode lasts for 2 minutes which is what I recommend to my patients. The gum care mode is accessed by pressing the on/off button twice when the electric toothbrush is off. Instead of the brush head oscillating and rotating at a single speed the speed alters from 2600- 8,800 oscillations and 12,000-40,000 pulsations per minute. This mode lasts for 2 minutes also which is good however whether the speed variation actually does anything is questionable. My advice would be to keep it in daily clean mode. 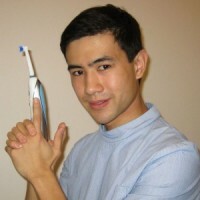 The Oral-B pro 2 2000 only comes with a single brush head, the cross action. This happens to be in my opinion the best Oral-B brush head on the market and the only one I use myself at home. This is because of 16 degree angle of the bristles and the small head size of the brush head which means it is easy to reach back to the molars. Oral-B does have a phenomenal range of brush heads and the Oral-B Pro 2 2000 is compatible with every single one of them. Other than the cross action the other useful brush heads are sensitive, kids and ortho. I am not a big fan of the trizone find out why here. With the all new lithium ion battery the Oral-B Pro 2 2000 will now last upto 2 weeks. This means that it gives about 56 minutes of brushing time. This is brilliant for a budget electric toothbrush and is on par with the more expensive Oral-B Genius 8000 and 9000 and the Philips Sonicare. The charging station is simple in design however effective. The Oral-B Pro 2 2000 takes around 8 hours to charge from flat to full battery. I tend to leave the electric toothbrush on charge overnight and it is fully charged in the morning. The charging station comes with a 2 pin plug to fit into a shaving socket. 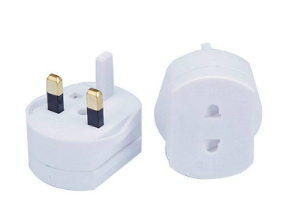 If you do not have a shaving socket in your bathroom, you will have to buy a 2 pin to 3 pin adaptor. This can be picked up from any decent hardware store or Amazon. The Oral-B Pro 2 2000 is nice and light weighing in at 130g. It also conveniently sized at 23 cm x 2.5cm x 3cm. 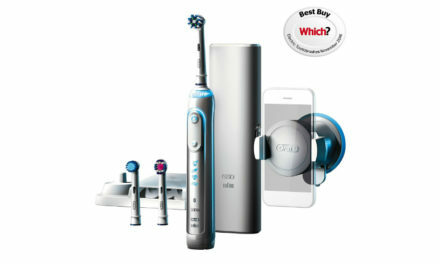 This electric toothbrush is very easy to carry around on your travels and will not take up too much luggage room. The only thing that is missing from this electric toothbrush is a travel case. If you want a travel case, you will have to look at the Oral-B Pro 2500. The Oral-B Pro 2 2000 costs £35.00. This is one area where this electric toothbrush shines. For the features you get and the price, it is hard to beat this electric toothbrush. It also comes with a 2 year warranty that is possible to extend to 3 years. The running costs of the Oral-B Pro 2 2000 is low because the brush heads are fairly cheap. You can pick up 8 x cross action brush heads for £18.80. Which makes the ongoing running costs of the brush heads are around 3p per day including the price of the electric toothbrush lasting 3 years this would be 5p per day which is very reasonable. Would you recommend the Oral-B Pro 2 2000? Yes I would. It has all the essential features that I look for in an electric toothbrush, pressure sensor, 2 minute quadpacer timer and 3D oscillating rotating action. This would be the cheapest electric toothbrush in the Oral-B range that I would feel comfortable recommending. If you would like a recommended list of best electric toothbrushes click here. Is this electric toothbrush suitable for children? No this has not been designed for children and would highly recommend a toothbrush that had been specially designed for children. Click here to find my recommended list of Children’s electric toothbrushes. What is the difference between the Oral-B Pro 2 2000 vs 2500 vs 3000? I have actually wrote an in depth article about this here. In essence the Oral-B Pro 2500 has a travel case and the Oral-B Pro 3000 has more cleaning modes and a better charging station. My preferred electric toothbrush out of the three would be the Oral-B Pro 3000 . Is the Oral-B Pro 2 2000 waterproof? Yes the it is waterproof and can be used in the shower if you so wish. How long is the warranty on the Oral-B Pro 2 2000? The warranty is 2 years which can be extended online to 3 years via the Oral-B website. Is the Oral-B Pro 2 2000 noisy? It is louder than a manual toothbrush but it is not too noisy once you get used to the sound of an electric toothbrush. After charging the Oral-B Pro 2 2000 too full how many brushes will it last? The Oral-B Pro 2 2000 is advertised to last for upto 2 weeks which is 56 minutes of use (2 minutes twice a day for a week). From my experience the battery life is closer to 10 days which is 40 minutes of use. 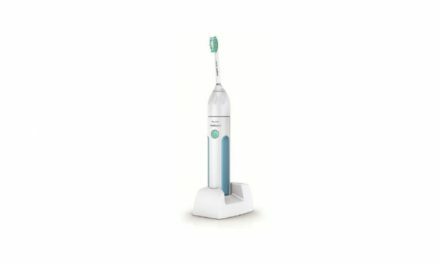 Should I leave the Oral-B Pro 2 2000 to charge every night? This is a tricky question to answer. Some sources from the Oral-B website say to flatten the battery completely . However I think that this article is related to the old nickel metal hydride battery. With the new improved lithium ion batteries, they do not like to be run completely flat and this actually can reduce battery life. I would recommend to charge the Oral-B Pro 2 2000 back to full once it has reached between 25 to 50% battery. Do you need an adaptor to charge the Oral-B Pro 2 2000? Yes you will need a standard 2 pin to 3 pin adaptor. The Oral-B Pro 2 2000 contains all the essential features that I look for in an electric toothbrush. It is cheap, it has a visible pressure sensor and has a 2 minute timer. The battery life is a little short and it does not come with a travel case however if these are not essential features for you then it is definitely worth a look at. Summary A very good effort by Oral-B to make a cost effective electric toothbrush. It has all the essential features and is a good toothbrush. Thanks for the review. Interesting comments on the battery life. My own testing found that it lasted longer than 2 weeks, 16 days in fact. Still a great toothbrush for the money. Hi Jon. Great to hear from you. Love the website. It seems the Oral-B 2 2000 model I got had a weaker battery than yours. Either way it is most certainly an improvement over the nickel metal hydride battery in the Oral-B Pro 2000. So I am trying to find good but cheap electric toothbrush. As my dentist recommended to get electric toothbrush. But I just cannot buy something for 100 pounds. I have kinda sensitive teeth would this electric toothbrush wont make it worse? Hi Rasa. Thank you for the comment. As I have not seen your teeth personally, I cannot really give personal advice. However for people with sensitive teeth, the Oral-B Pro 2 2000 does not have a sensitive mode so would not recommend it for sensitive teeth. The Oral-B 4 4000 does have a sensitive cleaning mode and a visible pressure sensor so would be a better fit for someone with sensitive teeth. If this is combined with a sensitive brush head such as the sensi ultra thin brush head, this would be a gentle electric toothbrush for sensitive teeth. Hope this helps! Note this is not true unless there is something very wrong with the charging circuitry in the device. Lithium batteries prefer to be topped up regularly and in fact running it all the way down repeatedly is more likely to cause harm. Thank you Ian. This is very interesting. I agree that Lithium ion batteries prefer regularly being topped up. Oral B are still suggesting to completely flatten them Oral-B Link. This must be a remnant article of the old nickel metal hydride battery. Cannot find any other articles from Oral-B covering this point, would appreciate if you know of one. Thanks! Can I simply say what a reduction to seek out someone who really knows what theyre talking about on the internet. You definitely know tips on how to bring an issue to light and make it important. Extra individuals must read this and perceive this facet of the story. I cant imagine youre no more in style because you positively have the gift.